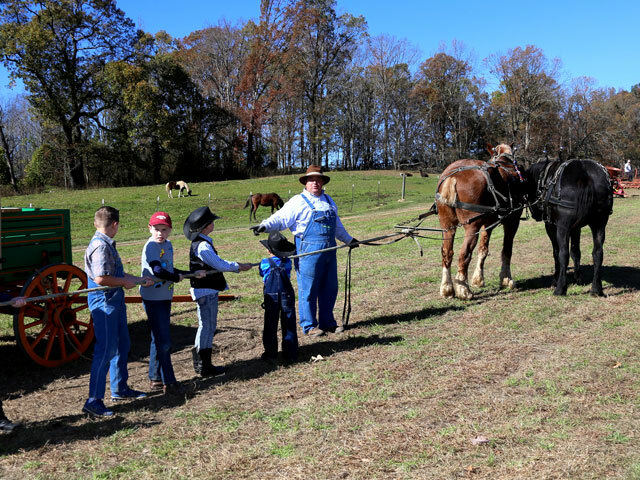 Saturday, November 2, 2019 — 10 a.m.
Price Services Heating and Air is proud to sponsor the Green River Farm Day. This annual event is highly anticipated by the community. It started with a handful of plowmen and their horses. This day originated when a few of our friends gathered to help us prepare our field for the winter cover crop. It started with a handful of plowmen and their horses. From there we added beans, cornbread and some other old fashion farm traditions. We want you to enjoy all of the activities that the day has to offer. We would love nothing more than to see everyone get involved and spend the day sharing good times with good friends. 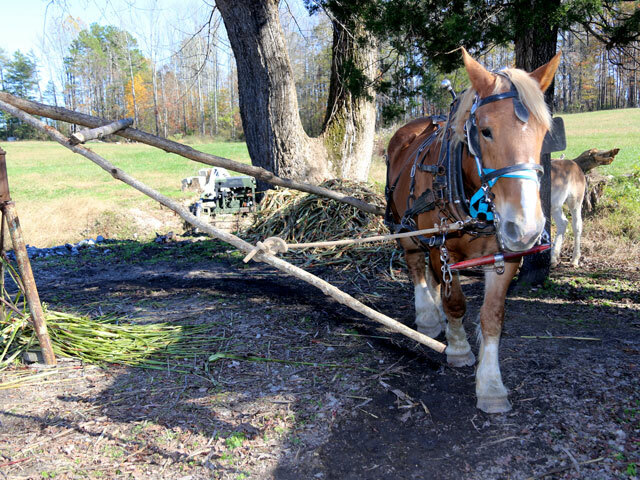 Take time to watch the demonstrations of horses plowing, butter churning, corn grinding, molasses making and more. The children will enjoy making their very own rag doll, chasing the pig, splashing in the duck races, and riding the barrel train. You will hear good bluegrass music while enjoying your fried apple pie. We want this day to be a day you will always remember. Our goal is to have you come back next year and bring a friend. Remember, this is not our farm day; this is YOUR farm day. Thanks for all of your help and support. 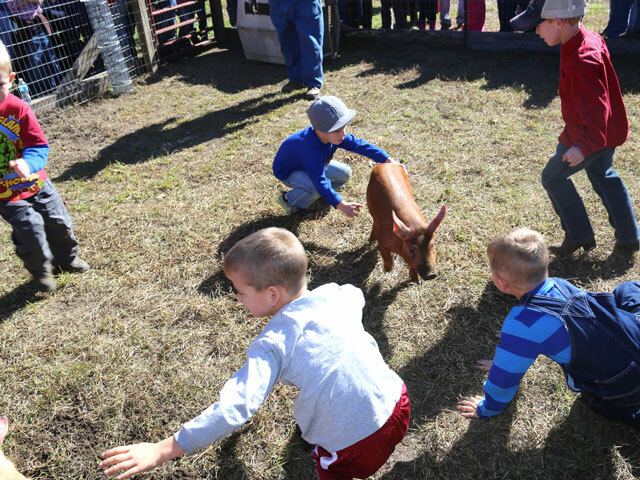 We hope you enjoy your time at Green River Farm Day.